The author says Barack Obama's and Mitt Romney's speeches early Wednesday testify to an American rite. Some believe that the United States is held together by a common creed. What marries our “pluribus” to our “unum,” they argue, is a common commitment to a shared "American idea." I am not so sure. Americans may agree on certain values such as “liberty” and “equality” but we disagree fiercely about what these keywords mean and how to weigh one against the other. What holds us together are rituals. As I observed in my book "The American Bible," Americans come together - like rabbis in the Talmud - to argue about our core texts, trying to divine what Lincoln’s “Gettysburg Address” might have to tell us about affirmative action or what King’s “Letter from Birmingham Jail” might have to say about the separation of church and state. And as long as that argument is civil and informed, it serves to unite the nation. Another rite of our republic is the election itself, where we put our arguments on the table and let the voters decide. But this ritual is only unifying if both sides accept the outcome and manage to be gracious in both victory and defeat. Last night we saw a lot of gloating from ebullient Democrats. We also saw an ungracious loser, in Donald Trump, who as the scales were falling from the eyes of Romney supporters tweeted: "We can't let this happen. We should march on Washington and stop this travesty. Our nation is totally divided!" But in the key players in this election — President Obama and Gov. 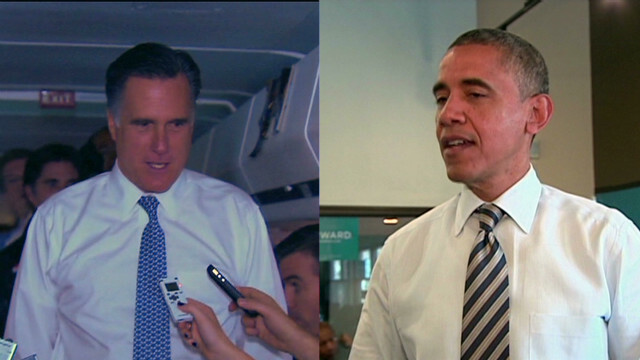 Romney — we saw something else. We saw men who, for the moment at least, put country above party. Early Wednesday morning morning, we saw the unifying spirit of this great tradition of conciliation in the words of Romney and Obama. A few years ago, an Indian economist wrote a book called "The Argumentative Indian." You might imagine that this book would be a lamentation on how the tremendous diversity in India is driving that nation apart. Instead it is a celebration of a political tradition that not only exhibits intellectual diversity but embraces its argumentative nature as a strength. I see the United States in a similar light. Our arguments and our elections bring us together, but only if those arguments are civil and the winners and losers on Election Day remember that the reason we vote is not to coronate one party but to govern an increasingly diverse country. I am not naive. I know that things are going to get nasty again, probably sooner rather than later. Republicans are already arguing that this election was not a mandate, and Democrats are already insisting that it was. But when we find ourselves back in the muck and mire of petty partisanship, when our politicians once again mistake anger for strength, it is good to remember these brief, shining moments when, as John F. Kennedy once put it, "civility is not a sign of weakness" and our common life seems more important than the "mischiefs" of our parties.